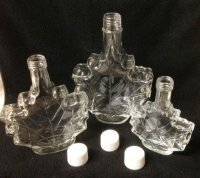 Maple Leaf Shape Glass Bottle 3.4 oz 100ml. Lawn Boy Solenoid part# 740207 was used on the following riding mower models; 72042, 72043, 72045, 72046, 72047, 72062, 72063, 72064, 72070, 72081, 72083, 72101, 72103, 73320, 73362, 73363, 73380, 73400, 73401, 73402, 73403, 73428, 73429, 73448, 73449, 74560, 74570, 74571, 74573, 74582, 74590, 74591, 74592, and 74593. There may be models that use this part that we do not have listed here. Please refer to your owners manual or a parts breakdown for your model, to assure that this is the correct part for your machine, before you order.